It was about this time last year we heard the rule changes for the 2013 season and I wrote an article all for it. There was plenty of debate and complaining at the time, however I think we have all moved on. Now we have some more changes to look forward to. As I’m sure everyone knows by now, rookie prices have soared. The basic premise is that the rookies we must buy to increase our team’s worth, cost a much higher portion of our overall budget than they used to. Basically we should have less cash to spend on premos, encouraging the selection of mid-pricers and create greater differentials between teams. My thoughts? It isn’t going to happen. Whilst the idea is ok, there are a few problems. Firstly, with the amount of my team posts, podcasts, and pre-season articles to help find the best players, everyone will go in with similar teams as a general consensus is reached. There is always going to be an ideal way to spend your budget, and increasing rookie prices won’t change the fact that all the hidden gems are uncovered. We will have the best in the business identifying the best rookies and players returning from injury to pick at cheaper prices, resulting in us selecting very similar cash cows. As always! The new changes also mean that even though they were expensive before, the top draft picks will hardly ever get a look in to people’s starting teams. Even though everyone had him, it was fantastic being able to watch O’Meara every week and see him rack up. Hogan will be a forgotten man now, and guys like Jack Billings may fall of the radar. Ok it may make a slight point of difference for those who want to back the top draft picks, but I think that differential was there last season when Whitfield was over 180k. 260k is surely excessive. I truly believe that this is where players make or break their season. We usually all have the same rookies, however there are such massive differences between the top few hundred teams and the rest. Why is that? The challenge of picking the competitions best players for each new season. 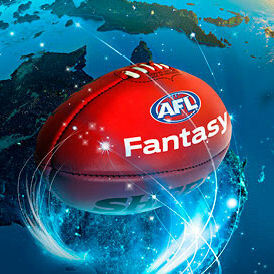 This is the art of AFL Fantasy and as much as you can write about players, there will always be some high flyers and busts. It’s what makes the game so great. What I’m actually going to say here is that things haven’t really changed much as far as premos go. I have done a very rough draft and come up with 14 premiums, very similar to previous seasons. There should be enough value rookies and cheapos (What are we going to call guys like Bock?) to allow for a similar spread of the budget as previous seasons. In fact the budget has increased much more than premiums have (an extra 4.16% to be precise), so this I’m happy about! However it does rule out the addition of midpricers, a facet of the game which is very hard to make use of, but something I will touch on soon. The basic point is at the moment, we shouldn’t panic. You’ll be able to select roughly the same amount of premiums as always. No worries! Ok, this is where it gets interesting. They were supposed to get more of a look in with the addition of extra trades last season, but that wasn’t the case. They left you behind the pack anyway, as we learnt how vital it is not to waste any of those trades, no matter how many we have. This season they are meant to get another look in with the hike in rookie prices. Once again I don’t think it will happen. Aside from the obvious choices in Suckling and Thomas, there is no point in taking the risk when you can spread a budget evenly with rookies and premos. If Virtual Sports really did want to make the game tougher and give midpricers a real go, the solution may have been simple. An increase in the magic number, with little or no increase in budget! Without having to make things too complicated, I think this could have been the way to go. We would have a similar selection of rookies as always, but less room for premiums. For midpricers to get a proper look in, one thing has to happen. The rookie pool needs to dry up. You increase the magic number, there is only so many good rookies you can pick, while you can’t fit in as many premiums. Then what do you do. Place non-playing rookies on the bench to fit in those extra premos and cost your teams worth? Or do you go for 2 or 3 midpricers and go with one less premium, hoping they can smash last seasons average? Both are risky and this would be a much tougher call to make, possibly causing a greater differential in teams. It may also cause more of a differential towards the end of the season as the different tactics in making money show. One thing is for sure, the game would be a lot harder! I know it’s all good in theory and may not be practical, but it’s certainly food for thought. We may even see further changes before the official rules are released. Either way we are stuck with expensive rookies this season and we will have to make do. To Jack Martin or not to Jack Martin… Hope you all enjoyed, bring on pre-season! Cheers. Well written mate, certainly does give food for thought. Or you could keep the same salary cap, the same magic number, increase rookie values and then, to make the mid-pricers a more viable option, increase the squad size from 30 to say 36. With 2 more defenders, forwards and midfielders, or even a new category, such as “utility” (who you can use anywhere) then you would have to look at alternative options / strategy. It would make the challenge a bit more interesting and with all the resting and general soreness at the end of the year, allow the well structured teams to fight on in the finals, instead of getting belted by the 7th and 8th placed teams who get lucky down the stretch. That’s another great option. The goal would be to force players to choose from alternative strategies. Guns and rooks is obviously the best option, but if you can’t fill the base of your team with good rooks the differentials will become wider. Increased squad sizes would certainly do that, however I think VS like to keep things as close to AFL as possible. So, you reckon they might go with 40 man squads? Reading a lot about people saying they arent going to spend 250k on rookies….i think its a load of bs. What are you going to do fill your team up with no names and injury prone people who arent going to get games to increase in value? Id rather spend 250k on Aish, McDonald, Sheed, Scharenberg, people im pretty sure are in the mix to play and increase in price. Sure there a few cheap options out their but you can count them on one hand and like you said everyone will have them. I think the main difference is your starting team will have to be spot on with the rookies, if you mess it up too much…your in trouble. I agree Jared, I have heard a lot of -‘ve comments about not being able to choose the top priced rookies anymore. I don’t think that has changed much, not that many people chose a Whitfield or a Patton etc anyway. I think it is probably fairer that J Martin and Hogan are priced as top rookies. JOM and crouch were way under priced last year. J Martin is still a good pick I think, with an avg of around 100 in the NEAFL last year and he will be a walk up start in the best 22. He is meant to be as good as JOM and he played WAFL at 16. Martin will be a walk up start in my team also, i dont even mention him anymore, i figure he must be a 100% lock in every team….if not their loss is our gain. Matt Crouch could be monstrous as well if he gets games like his brother did. Yeah there are a few basement priced rooks to be found to be sure. But 4 or 5 in the mids? 4 in the backs? 3 in the fwds? Im not so sure there are that many around. The main issue i see with these guys is what kind of a price increase are we talking about here? Will they get consecutive games, or get dropped every other week? Id rather put in a 250k rookie im pretty certain is going to get games even if his average is 60 or 70 over that bargain priced rookie that gets vested and dropped every other week. Pre season will definitely tell us more about the coaches mindset when it comes to their new rookies and what part they are likely to play for sure. Last year I sold JOM for $408k in rnd 13 for $300k profit. This year Martin would only net $150k profit if he avg the same. However he will certainly get the games JOM did, guaranteeing that profit. The important question is who gets the games? Martin n Aish. Who else? That is so irritating. Contemplating whether to go with the rookie named week 1 or the higher reward rookie who plays week 2 will be crucial. I reckon the rookie price hike will lead to real differentiation in teams through the season. Without looking at it in detail I think perhaps a much bigger problem for us with the higher price for rookies is not our starting team but downgrades through the season. There will be some obvious ones that are on the bubble and maybe have had their bye or whatever who everyone will get, but we are going to have some very tough calls. I’m imagining we’ll be thinking about the risk Vs reward each week – do we grab a $230k player on the bubble in round 7 or 8 or hold out for a $145k player who looks like he might debut. Some people lost a bit getting Daniher last year when they could have picked up Kyle Martin but imagine making the same mistake this year – it’d be $100k or so just when buying which would be huge. Even more when your Martin equivalent just keeps adding dollars. The two trades a week makes this much easier than it might be but it will see some players make decisions that will make them wait weeks longer to get their finished team than other players who pulled the trigger at the best time. I guess then we shouldn’t see it as a problem as I think it will really sort the gun coaches from the rest. Another thing we’ll see potentially is coaches holding out on bubble boys. I lucked out and grabbed Hutchings last season after his first price rise which turned out to still be way worth it. The new pricing opens that up more as a $130-$180k player could have a few price rises and still be better value than a lot of ordinarily first-choice rookies. Getting the right ones at the start is still important but making the best decisions later might be even more so. I have only written all this on a hunch so if someone who actually does the sums tells me I have no idea I won’t be hurt. Some great comments n here guys.. I think VP should be doing all they can to make the teams and games as diverse as possible. I think if I had the power what I would change would be adding scoring in for players such as an eddie Betts. Does a lot of the 1%..
Why not score pressure acts? two points per. score smothers say 2 points also. Intercepted marks 1 point higher than just a mark. Score clearances to advantage say 2 points. The points I’ve said you can change to suit, however I believe it would make so many more players viable options. VP need to make more players “premiums”. otherwise it doesn’t matter how much you make rookies etc, everyone will still be playing to get the same players in the end anyway.